I purchased a Telluride from our salesman, Rob. It was a great experience and I'm still so happy about how smooth it went! The entire staff was friendly so I'm glad we stopped at Oakes Kia in NKC because I was dreading my day of car shopping. Beggy helped us to finish the sale and she was great too! 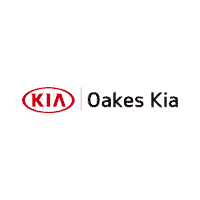 If you are looking for a new or used car and don't want the pressure then stop by Oakes Kia to see what they have in stock. Ask for Rob!! Absolutely best car buying experience that I’ve had! Anthony was a great salesman! He listen to exactly what I was wanting and made it happen for me! I’m super pleased with how well this establishment made something that I have had a hard time with so easy and effortless with their customer service! They were understanding of my personal schedule and were willing to get me in!! I’m now a new proud owner of a wonderful Kia from Oakes! Alan was great! Helped us out a lot! Alan was amazing! Went in hoping for the best and he made sure I was taken care of with the best deal. Thank you! Juan is amazing. I would recommend him to anyone. He’s such a good person! GREAT SALES AND FINANCING CREW!! LOW STRESS, VERY HELPFUL, AND WORKED WELL TO GET US THE VEHICLE WE NEEDED.THANKS, ROBERT FELLS! I had a very pleasant experience! Alan is wonderful! They read me well and put me in a car that fits me perfectly! I am pleased and eternally grateful! Mr.Hernandez is knowledgeable, approachable and a pleasure to work with. Whenever I’m ready to get my next vehicle(s) I’m going to see him. There is only Juan salesman that I will do business with and his name is Juan Hernandez. He treats you just like family and makes the experience so pleasurable. Hands down the best experience I’ve ever had in a dealership! Ask for Juan Hernandez if you want someone to treat you like a friend rather than a walking checkbook.